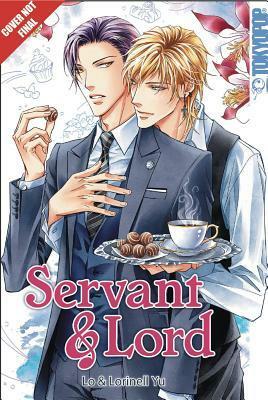 This week’s mini review round-up includes 1 graphic novel, 2 comic strip collections, and a manga! Nancy Drew is seventeen and good at everything… ESPECIALLY solving crimes. But her totally-in-control-and-obviously-running-perfectly-smooth-(but-not-really) life hits a snag when a mysterious message drags her back to the hometown she left behind. 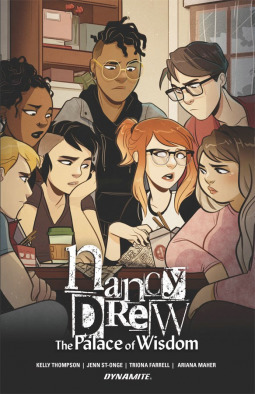 I’ve never been the biggest Nancy Drew fan, but I remembered the characters well enough that my favorite thing about this graphic novel was seeing them re-imagined as modern, fun teens. (HIGH key loving the fact that my fave from my childhood, George, grew up to be a queer punk girl?!) The plot was okay—a little underwhelming, maybe, and certainly predictable—but the characters were fun and the art was lovely, so I feel pretty comfortable giving this 4 stars. I assume this creator is going to make more in this ‘series’, and if that’s the case, I think I’ll check them out, too. 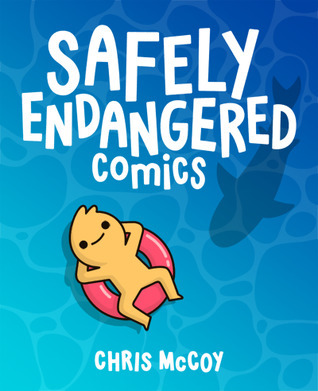 I already liked Chris McCoy’s webcomics, so I was excited to read this collection, and it didn’t disappoint! The sense of humor is just hilarious and so spot-on for my tastes, and I really love the simple, cute art style. There’s a lot of sarcasm and cynicism, and while it does occasionally manifest in a joke that’s a bit insensitive, I don’t think the average reader will be offended unless you just really hate morbid humor.Otherwise, give this one a go and I genuinely believe it’ll brighten your day a bit. Christian has always admired handsome, talented composer Daniel. Their shared appreciation for music marked the beginning of a friendship between a willful boy and a sophisticated young man… But when tragedy strikes and circumstances twist around to put Daniel in the service of Christian’s wealthy family, their bond is tried in unexpected ways. I was pretty excited for this one based on the artwork—which is absolutely gorgeous from start to finish, no doubt—but sadly, the art is kind of where my love for this manga ended. The plot is just okay, the panels are a bit hard to follow at times as things jump around and characters’ motives are hard to understand at times (mainly Dan’s—he frustrated me to no end), and the relationship definitely has some toxicity issues (Christian’s threats of stalking, Dan’s “prank” at the end, etc.). The biggest thing that annoyed me is that Christian keeps “waking up” from events, so it was hard for me to know what all actually happened and what didn’t. Bottom line is: the art is gorgeous and the author has definite potential, but this story needed cleaning up. I’d definitely give this author another try in the future, though! Best of 2018: GRAPHIC NOVELS & MANGA! Your site is gorgeous! Love the colors and design. I used to love Nancy Drew, but it sounds like the updated version is even better! 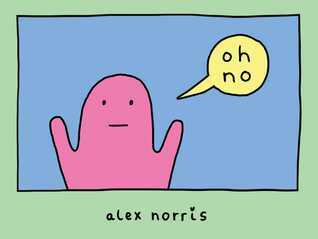 My friend loves to send me the “oh no” comics and I think they’re very funny, but they also definitely seem like they’d be best in small doses. Reading one after the other seems like it would definitely make the punchline get old fast. Sorry you didn’t end up liking the book! I definitely want to check out the Nancy Drew graphic novel! Awesome review!! HOW DID I NOT KNOW THERE WAS A NANCY DREW GRAPHIC NOVEL!? I need this in my life, I loved Nancy Drew as a kid so much! Ooooh, would love to hear your thoughts!! I got it from Netgalley and I honestly want to say it MIGHT have been a Read Now title…? Maybe? Either way, I hope it’s still on there so you can get it!! It IS Read Now!!! Bet your cute face I just downloaded it for myself, thanks for letting me know!